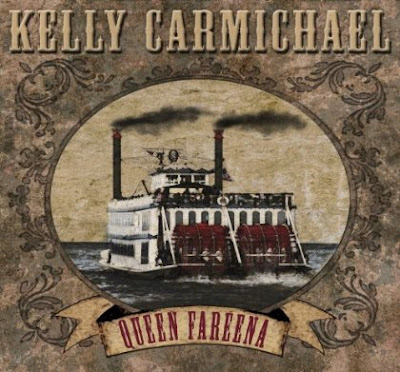 Review: Kelly Carmichael "Queen Fareena"
Kelly Carmichael's new album "Queen Fareena" is a blues and dixieland delight with superb instrumentation, excellent lyrics and an upbeat tone. In fact, doctors should prescribe "Queen Fareena," because even the most depressed listener cannot help but break into a great big smile. The brilliance of "Queen Fareena" is derived from the joyous intensity of Kelly Carmichael's vocals and guitar along with Jean-Paul Gaster's expertise on drums and a talented crew of brass musicians. One of the best tunes on the album is "Untrue Blues." This song could be a major radio hit with its melodic chorus and a perfect balance of instrumentation and vocals. Bruce Robison's new single "Born To Roll is a honky-tonk musical feast. 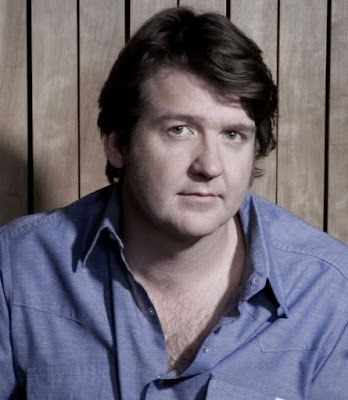 Featuring Rodney Crowell and written by Lore Orion, "Born To Roll" is a rollickin' good time, and it showcases the good-natured charm and vocal talent of Robison and Crowell. "Born To Roll" is a toe-tapping masterpiece that will prove to be popular at Bruce Robison's concert appearances. Indeed, program managers of mainstream and Texas radio should immediately add "Born To Roll" to their playlists. The track is expertly produced by Crowell with superb instrumentation, memorable lyrics and a melodic, rockin' beat. The Handsome Family is not your ordinary band - or, for that matter, your run-of-the-mill married couple. 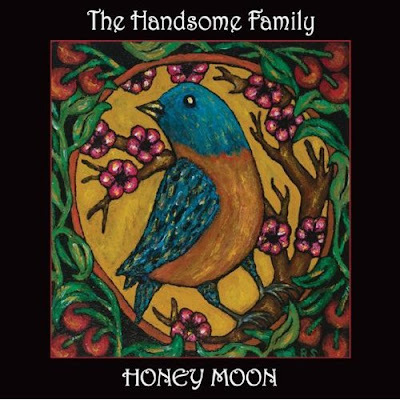 Brett and Rennie Sparks are The Handsome Family, and "Honey Moon" is a terrific blend of country, blues and rock that is carefully paced with expert production and instrumentation. "Honey Moon" marks the Sparks' 20th wedding anniversary, and the couple's unique brand of Americana music is not the bright, cheery music made by many married couples. The Handsome Family's dark and penetrating music makes you question the essence of music and the core of your soul. Indeed, the band soars when presenting its own brand of deeply reflective lyrics. 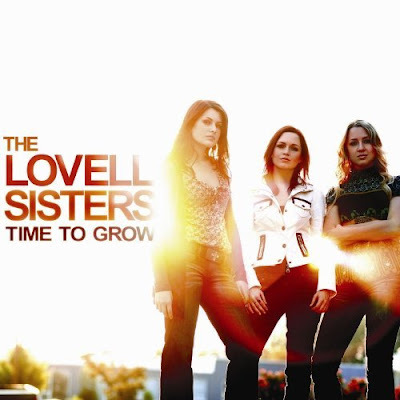 The Lovell Sisters' "Time To Grow" shows that this bluegrass-infused sister act is ready for years of Americana and bluegrass chart success - along with a Grammy or two. Yes, The Lovell Sisters have blossomed into one of music's most promising new acts. The success of the trio's tight instrumentation and seamless vocals is probably due to the sisters' years of hard work practicing their craft both individually and as a group. All three are expert musicians and "Time To Grow" showcases Megan's brilliance on resonator guitar, Jessica's top-notch fiddle prowess and the unique stylings of Rebecca on both guitar and mandolin. Type the term "up and coming" in Google and the search result should produce a picture of Ben Mallott. This Americana and folk wunderkind has produced one of the finest albums of the year with his terrific new project "Look Good, Feel Good." 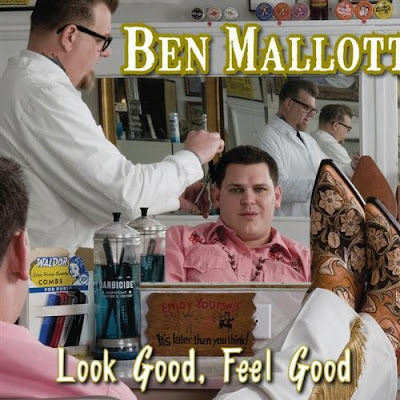 Besides the tight production and instrumentation, the key to the success of Ben Mallot's "Look Good, Feel Good" lies in the artist's piercing lyrics and heartfelt vocals. The album starts off strong with the melodic "Heartbreaks," which is performed in a brilliantly laid-back style. It is followed by a guest appearance from Eliza Gilkyson on the superb "Shotgun Suzy." Ben Mallott could have a big Texas country chart hit with "Cold Feet," which shows the Austin, Texas musician can rock the honky tonk crowd along with his base of Americana and folk fans. But the best two tracks on the album are the anthemic "Leaving" and the heartfelt "Over Time." 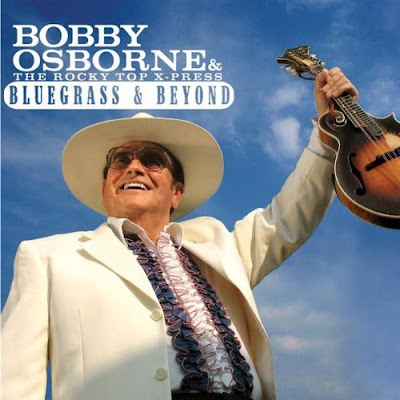 Review: Bobby Osborne & The Rocky Top X-Press "Bluegrass & Beyond"
Bobby Osborne proves why he is known worldwide as one of the world's best bluegrass vocalists and mandolin instrumentalists on his terrific new project titled "Bluegrass & Beyond." As usual, Bobby Osborne is accompanied by his stellar band The Rocky Top X-Press, and the album features amazing guest appearances from top performers. Marty Stuart and Connie Smith join Osborne on "What Would You Give In Exchange For Your Soul," and the effort is one of the most successful musical collaborations in recent memory. The best song on the album is the heartfelt "Girl From Yesterday." Osborne's vocals have never been better, and this track should be a major hit. The biggest surprise on the album is the toe-tapping first track "Let's Sing Our Song" which signals to listeners that they should expect a rollickin' good time with powerful lyrics and instrumentation.